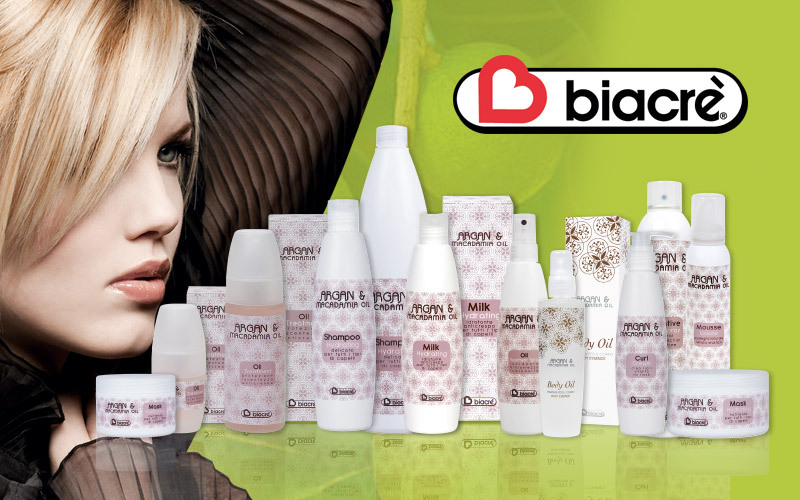 Valuable hair care range – made in Italy! Healthy hair with silky shine thanks to care products with natural argan and macadamia oil. The exclusive oils from argan and macadamia nuts moisturise the hair, have an anti-oxidant effect, and provide shine and softness. The rich essential acids they contain regenerate and care for the hair. The argan and macadamia range offers solutions for all hair types and regulates the moisture content of scalp and hair. In Germany, the Biacrè Argan- und Macadamia Oil brand is sold exclusively via the specialist wholesalers in the EURO-FRIWA Group.